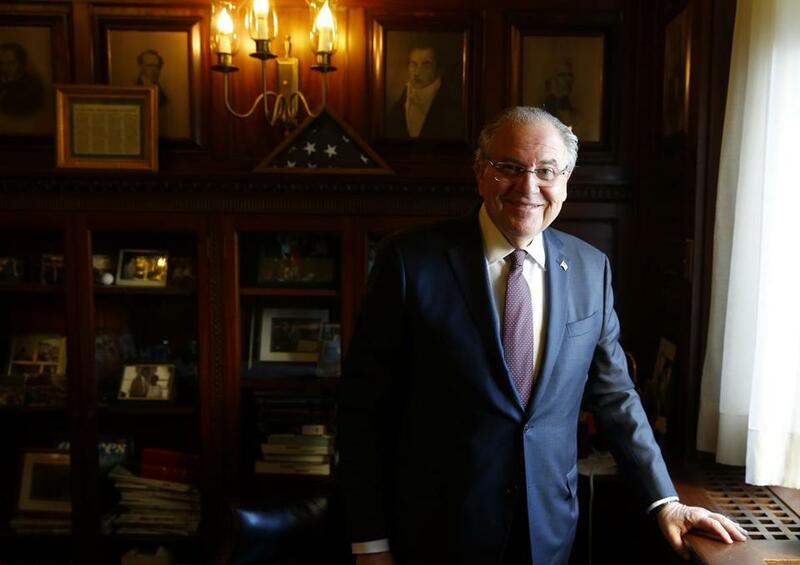 House Speaker Robert DeLeo inside his office at the State House in Boston this month. House Speaker Robert A. DeLeo is expected to lay out the chamber’s approach to early education, charter schools, and legislation regulating ridesharing services like Uber and Lyft in his annual address to colleagues Wednesday. The speech, set for 1 p.m. in the ornate House chamber, will not get the attention of Governor Charlie Baker’s State of the Commonwealth speech last week. But it will be an important signal of House priorities in the final months of the legislative session. Last year, at the start of the session, DeLeo said the House would devise a plan to expand access to preschool. An aide to the speaker said he will revisit the idea on Wednesday. Boston Mayor Martin J. Walsh brought fresh attention to the issue last week when he used his annual State of the City address to call on Baker and state lawmakers to fund full-day preschool for all Boston 4-year-olds. Baker, a Republican who has developed a strong relationship with Democrat Walsh, has been noncommittal. DeLeo is also expected to weigh in on the roiling charter school debate Wednesday. He supports charter expansion, but the push faces uncertain prospects in the more liberal state Senate. The speaker has been waiting to see if the upper chamber will move before taking action. Senate President Stanley C. Rosenberg recently announced that the Senate will take a crack at charter legislation, though it’s unclear what might emerge from the process. Beacon Hill observers have been waiting months to see how lawmakers will regulate ridesharing services like Uber. The speaker’s speech could give an indication. The speech comes amid broad concern about the state’s fiscal health. DeLeo has pledged to hold the line on taxes and fees. And a DeLeo aide said he will repeat the promise in his speech Wednesday.